This past Friday, the women of WineCollective transformed the office into a boutique for a festive ladies night. We welcomed friends, family, wine distributors and customers for Wine n’ Wares, an evening combined all of our favourite gifts and personal pampering products into a one stop shop. Friend of WineCollective, Shelly Bata filled our boardroom with fabulous Stella & Dot jewelry and accessories. 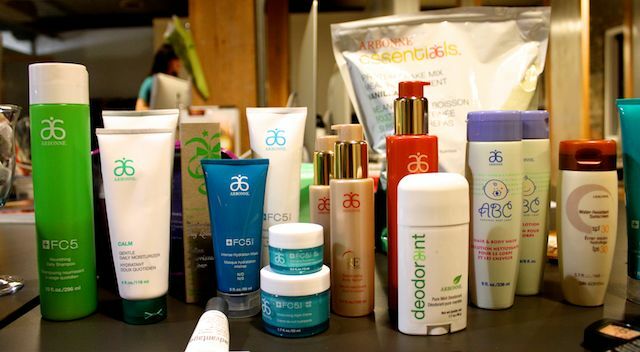 While skincare and beauty products from NuCerity and Arbonne were also featured, thanks to consultants Amy Wilford and Amy Protti. Shelly was kind enough to offer a free draw prize, which happened to go to our NuCerity representative, Amy. 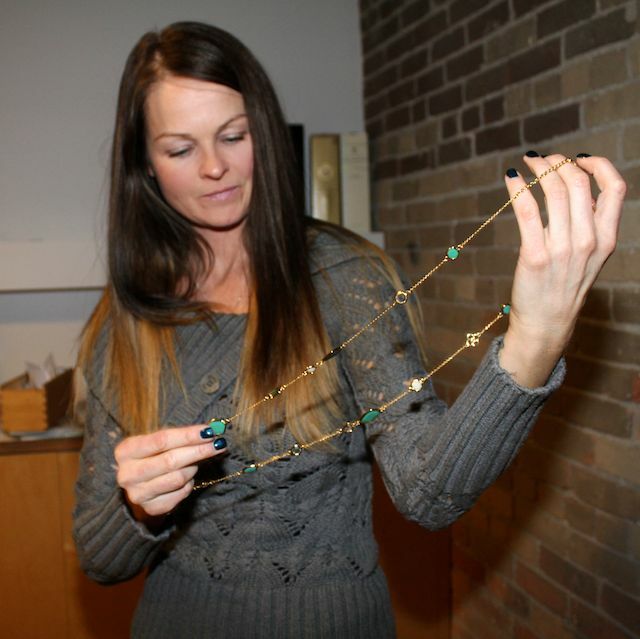 She won a beautiful Stella & Dot turquoise necklace that caught her eye earlier in the evening. Of course, bottles were popped to pair alongside the snack spread, which even included a very fancy Cabernet Sauvignon cheese. We selected the 2010 Le Roc Blanc, a red wine blend of Syrah, Mouvedre, Grenache and Carignan that was featured in most WineCollective June 2013 packages. While light, this wine is impressively flavourful with notes of blackberries and oak. The vintage is a great companion to food; however, it can easily be enjoyed alone while trying on jewelry or sampling lotions. We also served the 2009 Palmadina Pinot Grigio for our white wine fans. This vintage is full bodied in its fresh and crisp flavours of grapefruit and peach and also makes a great pairing for appetizers. You may have this Italian charm in part of your November shipment. All of the ladies that attended Wine n’ Wares were entered in a draw for two bottles of each wine. We hope that our winner, Amanda, enjoys the gift as a thank you for attending! 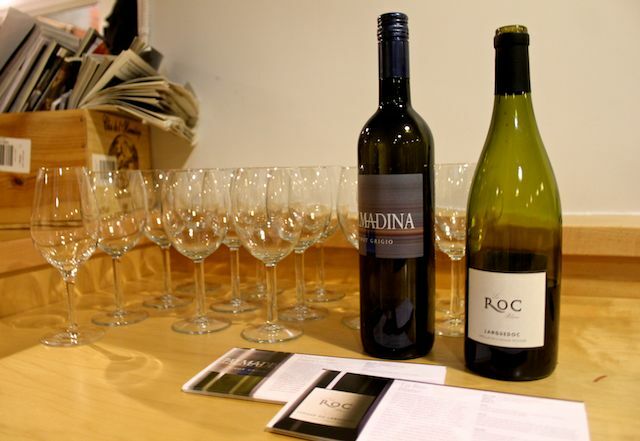 Both the 2010 Le Roc Blanc and 2009 Palmadina Pinot Grigio can be found in our WineCollective store for a member’s only price. Once again, we would like to thank all attendees and hostesses for a great evening at WineCollective. 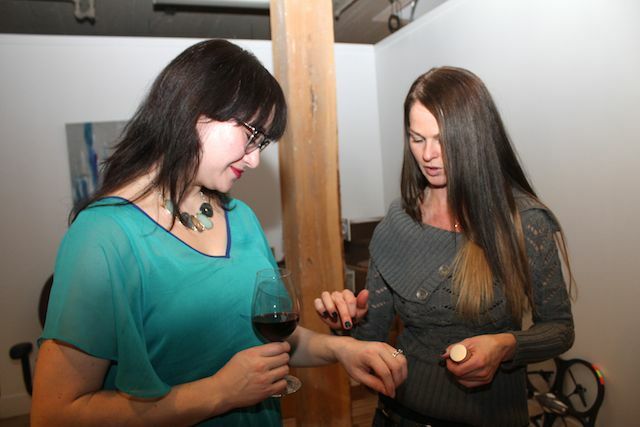 Ladies, stay tuned for future Wine n’ Wares events!